Dulux New Zealand has launched a new television commercial using stop motion and computer generated animation to show what would happen if paint samples gave you a peek into the future. A couple takes a quick little journey through time to see how their house looks in any weather, in any color and in any storm. 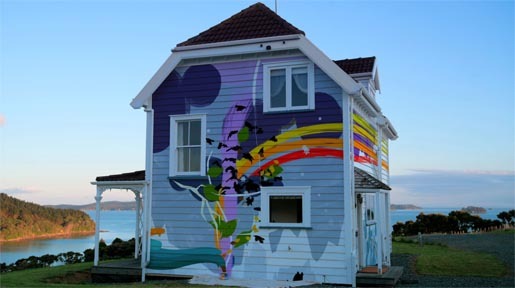 The Weathershield House campaign was developed at Clemenger BBDO, Wellington, by executive creative director Philip Andrew, art director Brigid Alkema, copywriter Mitch Alison, producer Martin Gray. Filming was shot by director Melanie Bridge via The Sweet Shop with producer Cindy Kavanagh, director of photography Ian McCarroll. Post production was done at Digipost by VFX supervisor Glen Atkins and Flame artist Stu Bedford.